When something happens to your home and you need an electrician, Panania residents can count on Paul’s Electrical Services to get the job done right. With residential electrical specialists and 18 years of experience in all aspects of electrical work, our electricians can provide you with the service you need, whenever you need it. 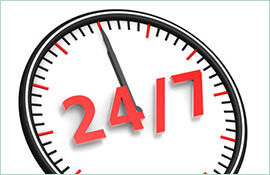 Paul’s Electrical Services is available 24 hours per day, seven days a week. No matter your electrical needs, our electricians will be there with a fully stocked, professional work van, ready to fix any problem that comes up. 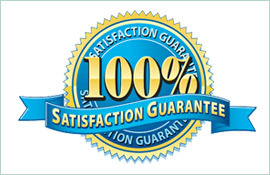 All of our tradesmen are trained to serve you quickly and efficiently. When you have lights that don’t come on, or you need a new light installed in your home, we can help with an electrician Panania homes can count on. 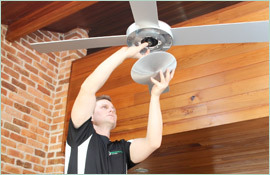 Paul’s Electrical Services have quality, trained technicians who will get the job done right the first time. 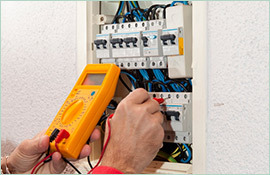 We can provide expert service for switchboards, power poles and any other electrical issues that occur in your home. Our residential electrical specialists are always ready to help you get the power you need in your home. Technicians are only ever a phone call away, and we take pride in being there on time, to provide our customers with the service they need, fast. When your home needs an electrician, Panania residents can count on Paul’s Electrical Service to provide any electrical services, from power points and lights to switchboards, power poles, safety switches, and lights. No matter what comes up, Paul’s Electrical Service technicians provide quality service that comes with a lifetime workmanship warranty.